Dropping on April 2nd the first installement of the Nike Sportswear and Liberty of London collaboration includes covetable Nike running styles featuring Liberty’s “Lagos Laurel” print. 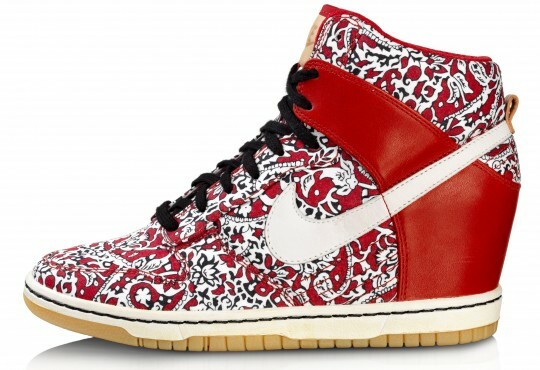 Nike’s Cortez, Air Max One and the Nike Free 5.0 all get the treatment of one of Liberty’s most talked about prints. In May the collection will be extended with the addition of three basketball styles: the Blazer, Hyperclave and Dunk Sky High WHICH I MUST HAAAAAAAAVE!!!!. The Dunk Sky High will feature a wedge heel inserted into the shoe.